Glycemic index food chart – what's up? The glycemic index food chart is a kind of management system, which reveals the healthy way of eating and keeping fit. This chart will give a hand in choosing the right carb propotions when planning your daily meals. 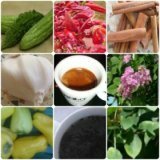 That is, if you are planning your meal with some foods which contain high glycemic index, but you still love to eat it, shift to small portion of this food and enjoy it. In case, you are choosing low glycemic index foods, then feel free to have larger portions for your meal. Thus, when you check the foods with the glycemic index food chart, you will have some scores which will reveal if this food is the right one or not. What do the numbers shown in the GI chart mean? They show how far each of the carbs you take may affect your blood glucose level. That will give you a hand in better blood sugar level control all time and stay healthy throughout the whole day. 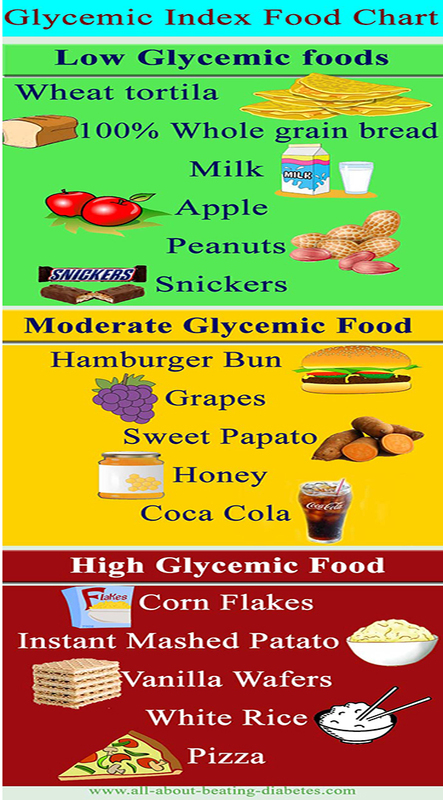 High glycemic index foods are related to high risk levels for developing type 2 diabetes, weight gain, coronary heart disease and high cholesterol. All these problems are come due to control of appetite. According to dietary guidelines, it is encouraged to eat more complex carbohydrates than simple one (more whole grains than sugary foods). And through the glycemic index system, once you have the figure, you may draw your diabetic eating plan too. However, diet and glycemic index foods chart cannot work alone. You should try to combine them with a good program of exercising and some strategies to change your bad lifestyle habits too. At the end, glycemic index food chart will give a hand in choosing the low GI foods rather than high GI ones. If you have a good understanding of glycemic index, you can easily find the difference between whole grain breads and white breads as your breakfast example.